The problem is that despite the claims of Pepsi and companies like General Mills that switching to sucralose (Splenda) products doesn’t change the TASTE of the product, the FACT is that it most certainly DOES change it. And if you don’t like the new taste you aren’t likely to continue buying the product. My mother gave up on yogurt 100% after Yoplait changed its sweetener from aspartame to sucralose as she hates the flavor now and says there are no other aspartame yogurts that she can find that she likes. She’s diabetic and so sugar-based yogurt is not an option for her. General Mills lost a customer for life. 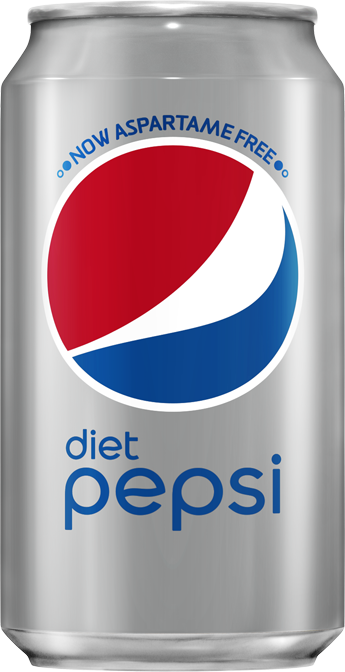 I just tried the new Diet Pepsi Wild Cherry (the old one was my favorite diet cola period) and I have to say the new one is disappointing. I taste far less cherry flavor for some reason; it seems less sweet (regular Pepsi is too sweet, though), but the real deal killer is that it now has a chalky/bitter aftertaste it never used to have. Perhaps the aspartame version had an aftertaste too, but I must have been used to it since I didn’t notice it or it was preferable. I think the Diet Coke with Splenda is even worse in terms of the Splenda aftertaste. I preferred Diet Pepsi Wild Cherry and Diet Mountain Dew, but I WILL be switching to Coke products now. Cherry Zero tastes much better than Splenda version of Diet Pepsi Wild Cherry (just the opposite with the old one). At least Coke sold a SEPARATE version of Diet Coke with Splenda for those that want it. They can easily compare their sales and see which one is more popular. I don’t have to look too hard at the grocery store to see that the aspartame version is stocked at a rate about 5x higher than the Splenda version and I assume that’s because it sells much better and that is likely because it tastes much better! Junk science and some allergic cases do not prove aspartame is unsafe for the general population. I have been drinking diet soda for over 30 years now and I have had no health problems. If it’s as toxic as they say, I should be in bad shape by now! I AM pretty certain if I had drank as much sugar soda as I have diet soda, I’d quite probably have Type 2 Diabetes myself by now (seeing it runs in the family, my risk of over consuming sugar over time is high). Sugar may be natural, but it causes obesity and is linked directly to diabetes. People need to stop thinking “natural” always equals good and that artificial or processed always equals BAD. Look at tapioca. Unprocessed, it’s a neurotoxin! But process it and it becomes safe. Ironic, eh? Thanks for your insightful comment! I completely agree that people tend to jump on the latest ‘fad trend’ without thinking of the consequences. I hope you enjoy the blog!